- UK construction industry stagnates in Q1 after dire 2018. - Commercial, civil engineering segments drive weakness. - And to the Brexit saga would aid recovery says Pantheon. The UK construction industry is likely to have stagnated during the first quarter, Pantheon Macroeconomics says, but a resolution of the Brexit saga being written in parliament could drive a recovery later in the year. The IHS Marktit construction PMI rose to 49.7 in March, from 49.5 previously, although markets had looked for a reading of 49.8. The miss against expectations is miniscule, although the index has remained confined within a one percent range for all of the first quarter. At 49.7, the PMI is also suggesting that output from the construction industry contracted again in March. This is the first back-to-back contraction since August 2016, according to IHS Market, and is widely seen as the result of "Brexit uncertainty". "The construction sector appears to have stagnated in Q1, though the picture differs markedly by sub-sector," says Samuel Tombs, chief UK economist at Pantheon Macroeconomics, who is ranked by Bloomberg and Reuters as the UK's number one economic forecaster. Falling activity within the commercial construction and civil engineering segments explains all of the recent weakness in the survey. 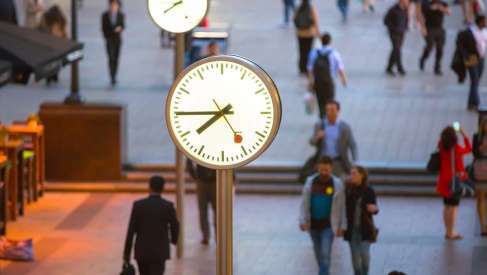 Those firms reported "risk aversion" among clients who are said to be delaying projects due to uncertainty about how the Brexit process will end as well as due to fears about the economic outlook. This ties with what the Office for National Statistics (ONS) had to say about the industry last week. It said construction output growth was just 0.3% in 2018. Residential construction firms, on the other hand, continued to enjoy the supportive conditions that come with operating in a market that is subject to a significant supply and demand imbalance. House-building has been a consistent bright spot for the sector in recent years and remained so in March. "With mortgage rates unlikely to rise much even when the MPC starts to increase Bank Rate again and the Help-to-Buy scheme set to operate at least until 2023, housebuilding should keep rising," Tombs writes, in a note to clients. Above: Activity in residential, commercial and civil engineering construction. Source: Pantheon Macro. "High profit margins and low borrowing costs lay good foundations for a recovery in business investment in the second half of this year, provided Brexit uncertainty subsides. A 10.4% year-over-year jump in public sector gross investment in this fiscal year should help the civil engineering sector to recover too," says Tombs. Tombs says construction sector activity and output would be quick to recover from its current stagnant levels if the Brexit saga being written in parliament is brought to a timely end, so long as the UK avoids a so-called no deal Brexit. However, the construction industry itself accounts for only around 7% of GDP so even large changes in the fortune of the above sectors often go relatively unnoticed in the quarterly GDP figures. Wednesday's services PMI is much more important for the economy. Nonetheless, with all of the UK's three largest sectors likely to be effected in some way or another by the outcome of the Brexit process, and with that itself approaching the endgame, markets are watching things like PMI surveys closely for clues as to how the economy is handling the uncertainty. The House of Commons failed a second time on Monday to find a majority that supports any one particular path ahead on Brexit. This was after MPs rejected Prime Minister Theresa May's proposed EU Withdrawal Agreement on three occassions. April 12 marks the deadline for Prime Minister Theresa May to choose between requesting a much longer extension of the Article 50 negotiating window that would certainly require participation in the EU parliament elections, or defaulting to doing business with the EU on World Trade Organization (WTO) terms. The WTO model is the "no deal" route that PM May has previously said she will not go for unless there is a House of Commons majority in favour of it. That pledge, combined with a deadlocked parliament, has led to speculation suggesting the UK is headed for a third general election inside of five years, or another referendum.